This article covers how to configure Control to allow online payments via Freedompay. You must have an account with Capital Q and FreedomPay. Everyone will need to do this! 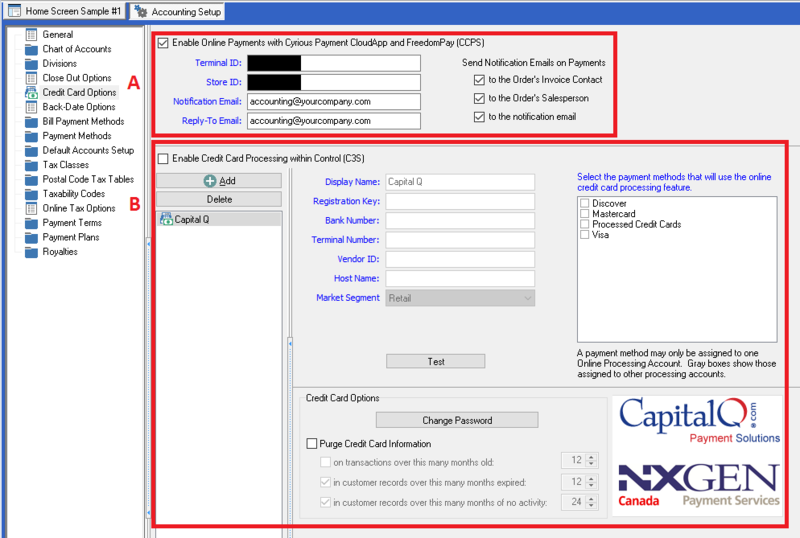 Call or email our contact at Capital Q letting him know you're interested in using the online payment feature in Control. 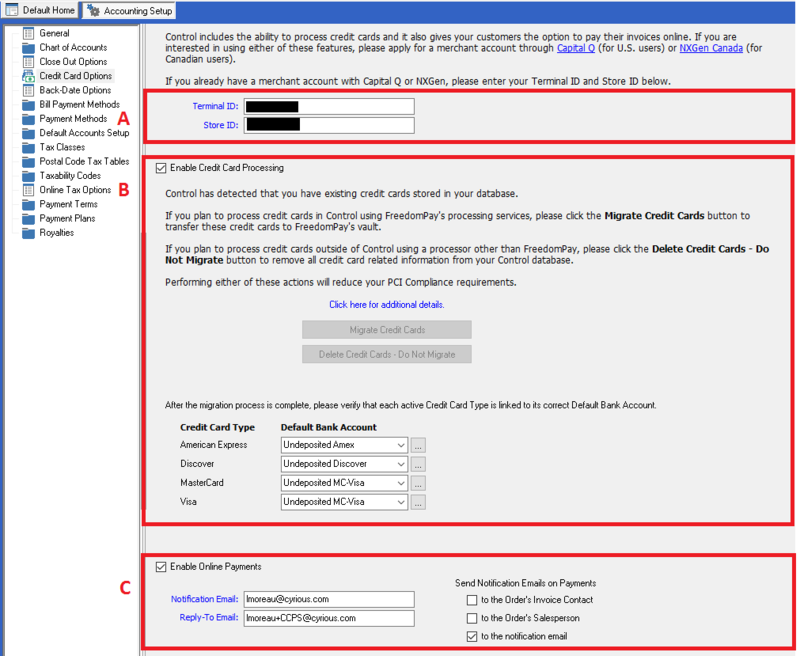 Even if you're already using the integrated credit card processing in Control, you'll still need to complete this step. Online payments were introduced in the 05.70.1623.0601 version of Control so verify you are using that version or a newer version before proceeding (Help > About Control > Version). An active technical support contract is required. The online payments feature is currently only available to US Control users. We are working to expand this feature to Canadian Control users in the near future. Before you can begin to setup online payments, you must have your Terminal ID and Store ID from FreedomPay. If you haven't done this already, please contact Ed Moore using the contact information provided in Step #1 of the Requirements section above. 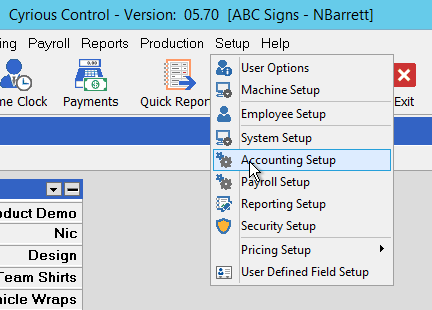 There are 2 steps required to setup Control's online payment feature. If you are using version 5.75, the Cyrious Cloud Connector option is at the top under the Document Manager option. Edit and check the Enable Cyrious Cloud Connector option if it isn't checked. If you're already using other cloud apps, this has already been done. Check the option to Enable Online Payments with Cyrious Payment CloudApp and FreedomPay (CCPS). Remember, blue fields are required fields!! 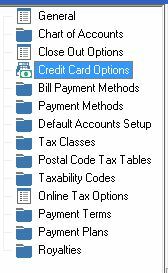 This section is only used for credit card processing that's done within Control, which is different from online payments. You can completely ignore this section. Check the option to Enable Online Payments with Cyrious Payment CloudApp and FreedomPay (CCPS).